In an ever changing face of travel, a new type of traveler has surfaced making his presence felt globally – challenging accommodation operators to fill the gap between budget backpacker and the mid-range traveler. They are flashpackers. Independent travelers looking something more than the run-of-the-mill cheap hostels, with a little more than 30 dollars to spare for a night and ultimately seeking a unique, comfortable place to lay their head. From my observation, most flashpackers are young professionals in their late 20s and 30s who are majorly savvy with technology… so if they’ve found a great place to stay, they will shout about it! Towels, hair dryer and daily housekeeping – what luxury! Behind the louvered windows and thick door frames lies a quirky history – as with most shoplots in the heritage Georgetown square. It was once a leather shop, a shoe shop, a hawker place and a fortune teller’s lair before Syok! made its mark. 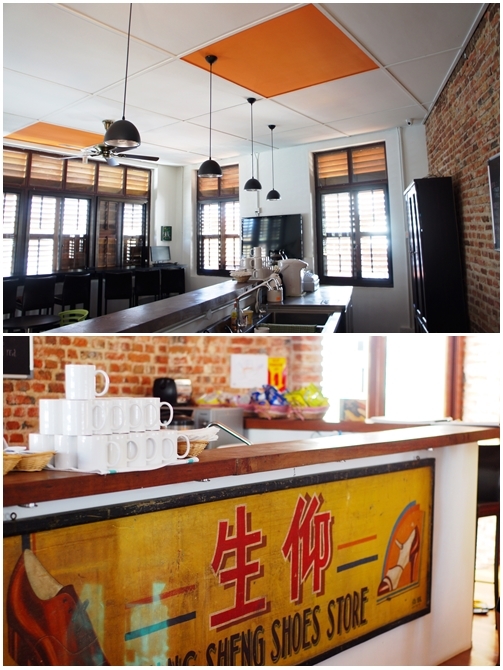 Lavished with such history, the interior of Syok! seem to resonate the same kind of fun, eccentric history it has experienced. 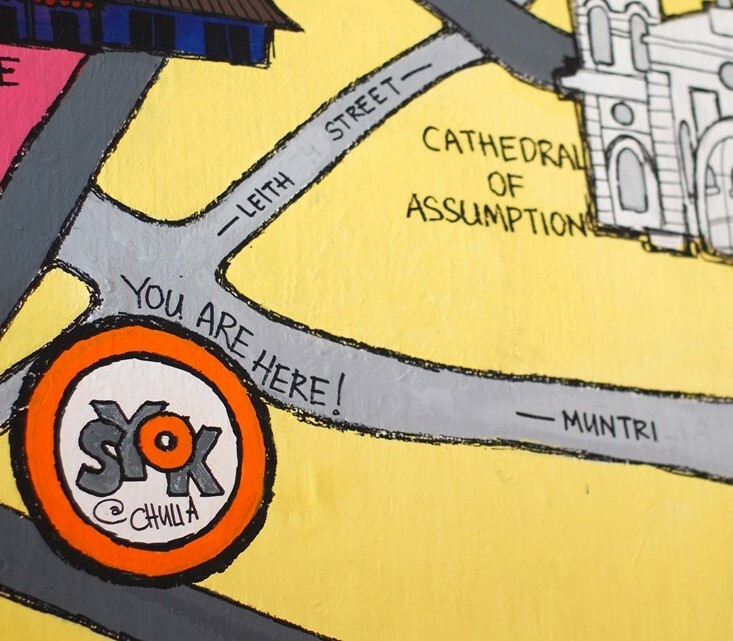 The bright orange and lively green hues, a colourful mural of Georgetown and amusing wall art gives Syok! 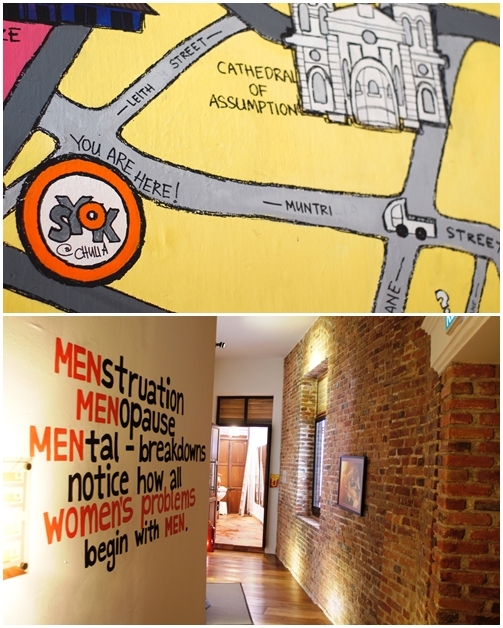 a modern touch blending into existing brown cobbled brick walls. The same fun & chic interior translates into simple activities for guests. 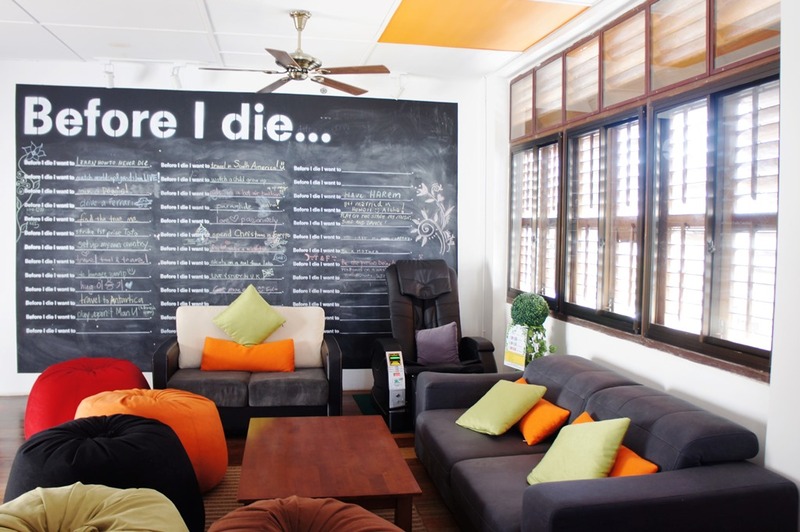 The ‘Before I Die’ chalkboard wall in the upper lounge was inspired by Candy Chang, a Vietnamese designer-artist and urban planner who through her work prods people to ponder on their aspirations in hope to gather collective wisdom to improve communities. 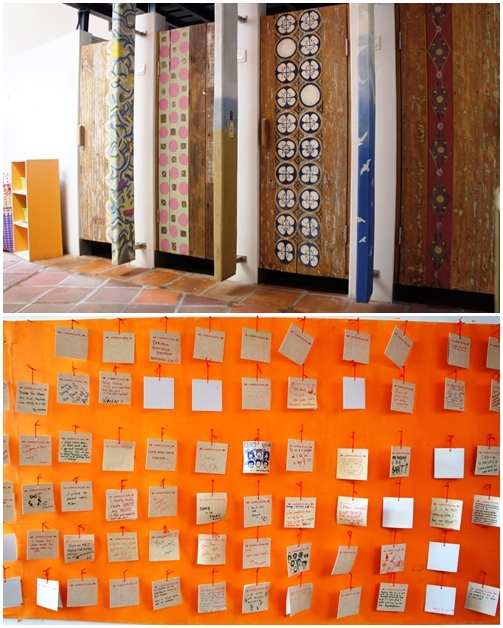 Another fun activity also inspired by Chang is the ‘Confession Wall’ found in the common toilet area, a bright orange wall filled with brown post-it sized cards scribbled with pencil drawings of serious confessions to down-right funny ones. What better way to pass time while answering nature’s call. It’s no wonder the team at Syok found inspiration through Chang’s works, because holidays are ideal for pondering, reflecting and moving on. Quite rarely do I feel such attachment to a hostel, but with Syok!, it’s a different story. 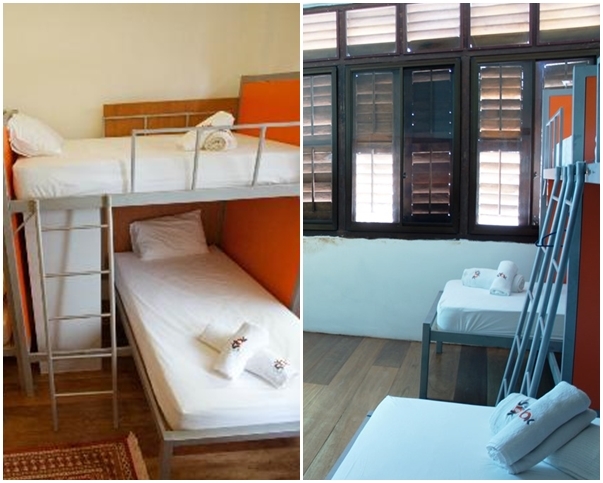 It’s not just an ordinary hostel with a clean bed to sleep on. Its comfort goes beyond the dormitory walls. The feeling of comfort is what sticks. Being a frequent traveler, I’ve bunked into a fair share of hostels and when I find a comfortable den that I can return to after hours of exploring; it’s like returning home to cosiness you can count on. Thank you for the great article.You really captured the essence of Syok. We wish that other people understand also that we are not the usual hostel with very few to offer but one that caters to any age, interest and need. It is what it is and character is what makes Syok! distinct. Loved it, love the people and the inspiration that comes with it. Btw, Candy Chang is awesome! A very good read deb! I’m already interested to visit chulia. The power of online media.